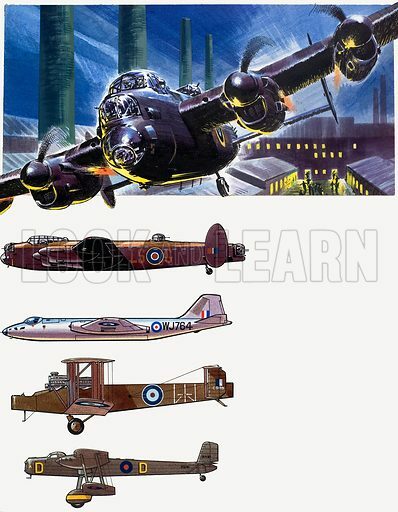 British bombers montage. Top image from Look and Learn no. 331 (18 May 1968). Original artwork adapted for appearance in The Seventh Look and Learn Book of 1001 Questions and Answers 1974. Available worldwide for immediate download up to 3,528 x 4,536 pixels.